What content marketing trends do big brands like Sony, Coca Cola, Nike, Adidas use to get more leads, customers, and sales? Discover here. Including the interview with Tim Soulo, the CMO of Ahrefs. First of all, let’s figure out why you should keep an eye on content marketing trends and use them as a part of your marketing strategy in 2019. According to a report by the Content Marketing Institute, 90% of businesses turn to content marketing to acquire new leads. In today’s business world, content marketing is booming like crazy. It’s cost-effective and powerful. According to DemandMetric, content marketing costs 62% less than outbound marketing while it generates 3 times more leads. Moreover, it helps you establish thought leadership (a solid ground for a strong relationship with your prospects) and increases your brand awareness. And it won’t stop there. B2B content marketing is set to be worth $412 billion by 2021. What content marketing trends should you be following this year? Should you dive into vlogging, blogging, podcasting, storytelling, or influencer marketing? Keep on reading this article to find out what works for some of the most popular brands and learn from their experiences. Your content marketing success begins with documenting your strategy. Going into the woods without a compass isn’t a very good idea, is it? In this case, your strategy is your compass. 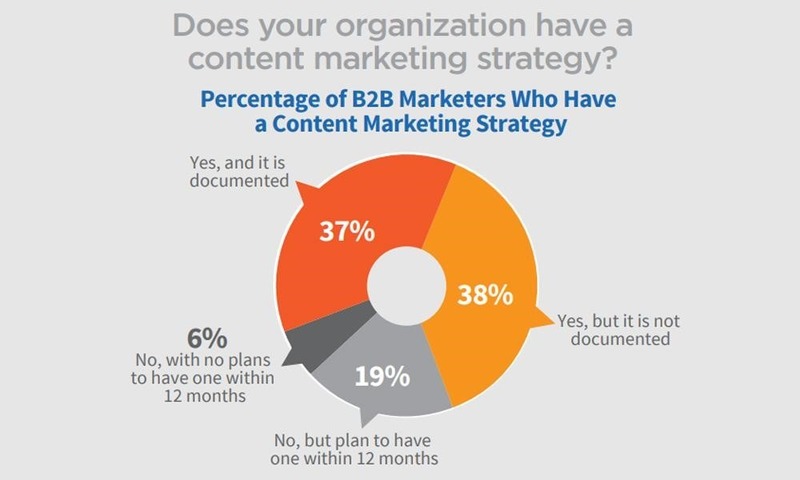 However, according to MarketingProfs and the Content Marketing Institute, 63% of businesses have no documented content marketing strategy. According to MarketingCharts.com, 64% of marketers feel they need to deepen their knowledge on how to create a content strategy. If you’d like your content marketing to be effective, you should do in-depth research on your target audience. While this seems to be obvious, many companies tend to miss this step. 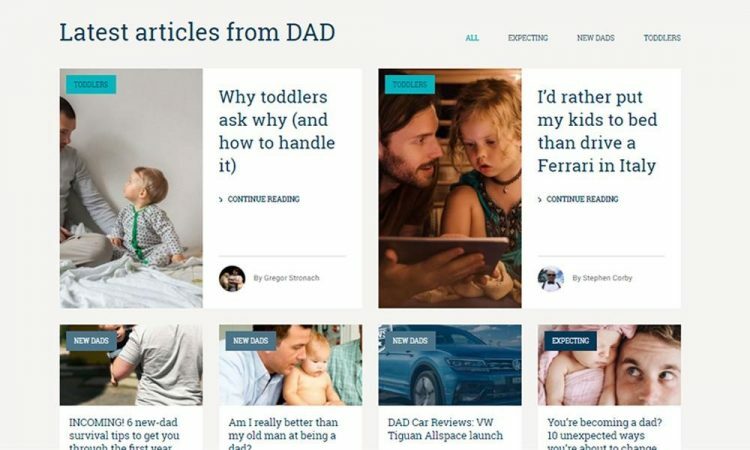 Four Seasons Magazine, Direct Advice for Dads, and Denny’s Restaurant are excellent examples of how you can get the most out of a content strategy if you know your target audience well. Here is a list of marketing tools that come in handy for conducting thorough research. For better results, it’s highly recommended that you get to know your clients personally. Invest some time into having conversations with them. You are sure to gain tons of insights that will help you understand their pain points and needs far better. Want to experience the kind of success that DAD enjoyed with a solid content strategy? Research your target audience and the market properly to find the content gap and understand what kind of content has been underserved. Create a detailed buyer persona. Use your research to create a content plan; decide on a style and determine how you can promote your content in the most effective way. Buffer is an excellent example of how powerful your content marketing can be if your strategy is well thought out and backed by extensive research. Creating impressive blog posts for influencers of their customers. Sharing their top-quality content through email marketing. If done properly, guest blogging can bring you lots of benefits. It establishes you as a thought leader in your niche, gives you excellent opportunities for networking, brings traffic to your site, and helps you grow your list and gain new customers. Buffer knows a thing or two about guest posting as well. Guest posts helped them gain 100,000 users. Those are remarkable numbers! Basically, publishing guest posts every day on authoritative sites is the best secret of their successful growth hacking strategy. The next ingredient of their success is blogging for the right influencers. 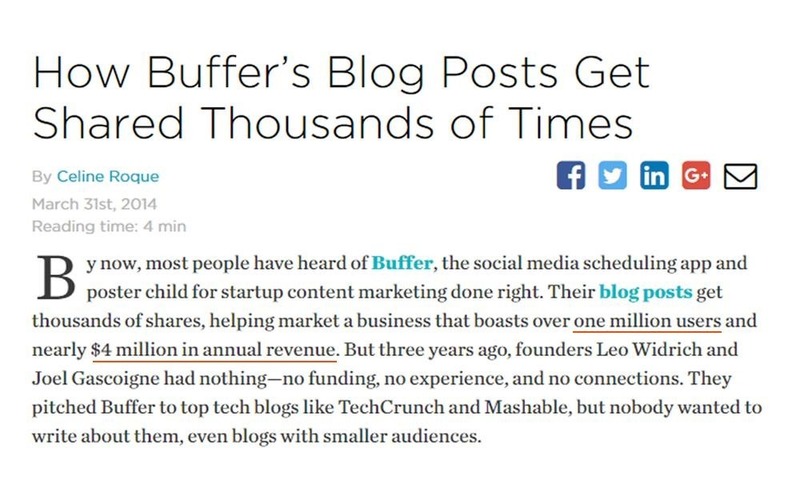 Buffer invests time and effort into creating comprehensive and engaging blog posts on topics that are interesting to influencers of their customers. As a result, their blog posts go viral and get tons of shares. Finally, Buffer gets the most out of email marketing. They share their top content with their subscribers. By the way, they have 4 separate blogs. All these efforts have resulted in 400,000 users, almost 1,000,000 social media followers, and huge brand awareness. Exclusive Bonus: Want to learn how Adidas is killing it on social media, get great tips from Tim Soulo on video marketing, and get some insight into artificial Instagram influencers? Deemed “the new strategic imperative of business” by Forbes, storytelling is proving to be a strikingly powerful marketing tool. 45% of brand image is built on the story told by the company directly to its customers. An authentic, transparent, and (most of all) touching brand narrative engages not only thinking processes but also emotional responses in the customer’s mind. This results in a deeply rooted customer experience. It consequently creates a strong connection with the brand image, similar to real-life relationships. Numerous cases illustrate the power and success of storytelling, as long as the story conveyed by the brand corresponds with its real values and actions. Nike has become an iconic case, and as such is a great example. They have been knocking storytelling out of the park. Emotional, sincere, true, engaging, surprising, inspiring — all these words can be equally attributed to the stories told by Nike throughout the history of its existence. Consider this 1999 video where we relive all the ups and downs of Michael Jordan’s career. Nike has set an impeccable standard for how a brand can respectfully offer their customer an inspiring relationship, rather than a forced sale. Years later, the same subtle yet powerful “Just Do It” at the end of an impressive and humorous story about triathlete Sister Madonna Buder does the perfect job of evoking feelings and reinforcing the brand image. 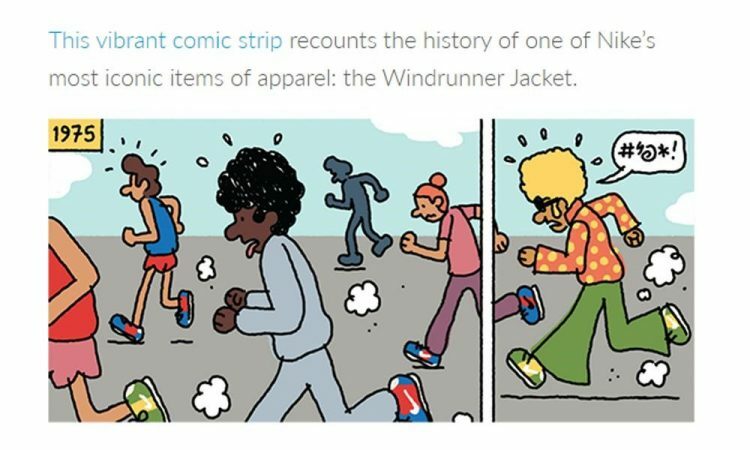 Basically, Nike’s storytelling style demonstrates everything a successful brand narrative should possess. Just like in real strong relationships, Nike does not only tell its own stories. It also listens to what its customers have to say. In launching the Equality campaign, the company invited everyone to share respect and celebrate their differences in everyday life. These stories of real people, with their real failures and successes, touch our hearts. Here, the emotional impact is strengthened by giving the customer side a well-deserved venue for expression. The consistency of the Nike marketing built around the “Just Do It” philosophy is one more reason its storytelling power sets an example worth following. From its beginnings in 1971 to today, the Nike brand still projects the same messages that have helped it win hearts and earn trust. Sustainability of the beliefs and values communicated by the brand works to strengthen the connection established. Authentic storytelling is a great tool that you should use with long-term perspectives in mind. Nike sticks to their stories unrelentingly. 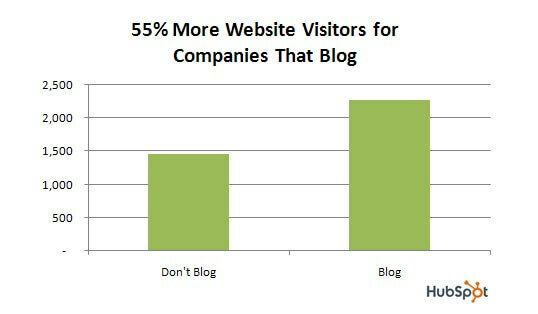 According to Hubspot, 53% of marketers consider blogging to be their top content marketing priority. 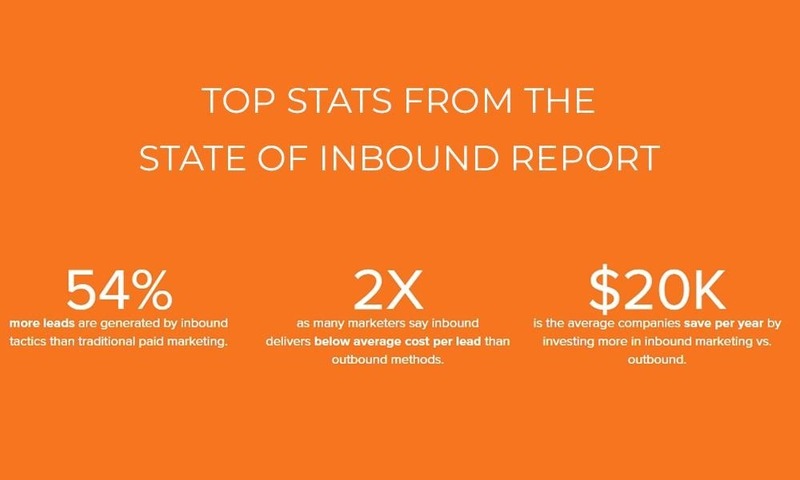 Hubspot conducted research on blog post performance, and the results are astounding! 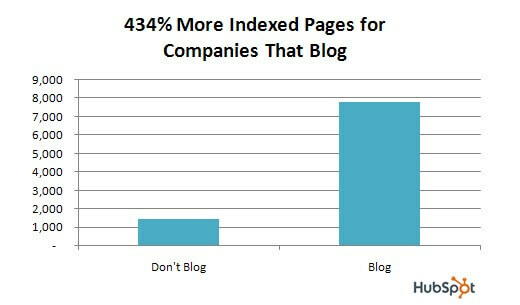 Companies that blog enjoy 55% more traffic, 434% more indexed pages, and 97% more links. That’s pure gold in terms of customer acquisition and ROI. Moreover, blogging is a cost-effective and strategic method of lead acquisition. The cost per lead from blogging is half that of the cost per lead via paid advertisement. And in the long run, if a blog post ranks well in Google, it will continue to generate new leads for you long after it is published. 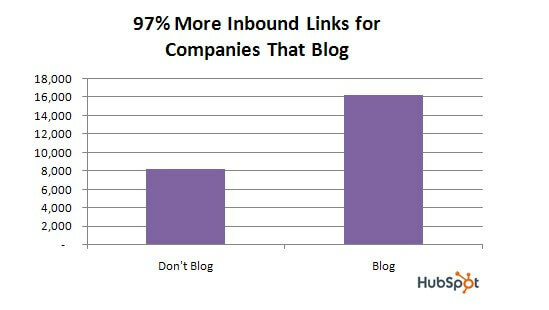 If you’d like to master the craft of blogging, I recommend you learn how to blog effectively from Neil Patel. Check out Neil’s blog and study his blog posts. Pay attention to the structure, tone, style, topics, and length. Long-form blog posts are still a great way of increasing your brand awareness. 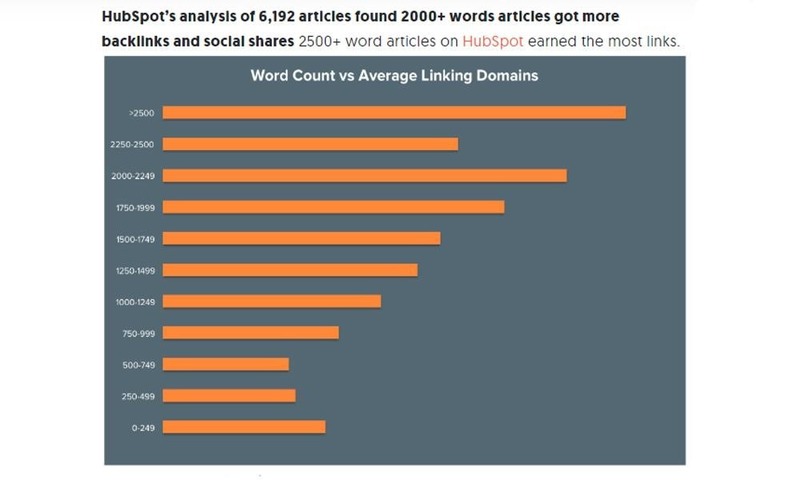 According to a Hubspot study of 6,129 posts, 2500+ word articles perform better on every level. They drive more traffic, shares, and leads. Readers like to read! However, it is important to understand that writing long is not enough. Me: Hi, today I’m going to interview Tim Soulo, CMO of Ahrefs. We are going to talk about content marketing trends. Tim Soulo: I can’t speak like overall of the general trends because I mostly operate in SEO and digital marketing industry. But what I see is that right now people who are serious about content marketing they are shifting their efforts towards quality. Before I saw that in our niche specifically, people just launched blogs and try to pursue some kind of consistency. So they wanted to publish like two articles per week or three articles per week. So this was kind of the main goal: the more the better. And right now, we see that a lot of people are not publishing that often. But they try to come up with really kind of competitive articles. I also see that a lot of people are investing their time to crunch some numbers, to collect some data, to do surveys. Surveys are a current trend in my opinion. We recently did a survey concerning SEO pricing. We asked like over 200 SEO professionals and SEO agencies about their pricing structure. And we saw that some other guys from another company.. I don’t remember the name… they created a similar survey and created a similar article. So surveys are actually a pretty great way to create a nice piece of content which would be data-driven, which can have nice graphs there. Tim Soulo: Speaking of the graphs, another trend in content marketing is making it more visual. Because previously creating visuals was not something affordable to most companies but right now we have different services. I cannot say that we’re using any of those services like Canva and of that sort. But generally, my point is that right now it is easier to create some visuals for your content. And even in terms of web design professionals I think there are many more of them today then there were like three five years ago. So creating a custom-designed infographic or custom-designed image or custom design is much easier and cheaper than it was a few years ago. usually consists of crunching some numbers, gathering some data or creating some nice visuals to support your text content. That’s pretty much it. Me: Okay, great. Thank you, Tim! Want to get more get great tips from Tim Soulo on video marketing? According to Statista, the number of active email accounts will reach 5.6 billion by 2019. That’s a truly huge amount! Just imagine how many opportunities for business that will unleash. Is email marketing dead? No! And it doesn’t show any signs of fading. According to McKinsey, email marketing turns out to be 40x more effective than Facebook or Twitter in terms of attracting new leads and converting them into customers. What Are the Trends in Email Marketing in 2019? Here is a chart that highlights the main trends to follow in 2019. 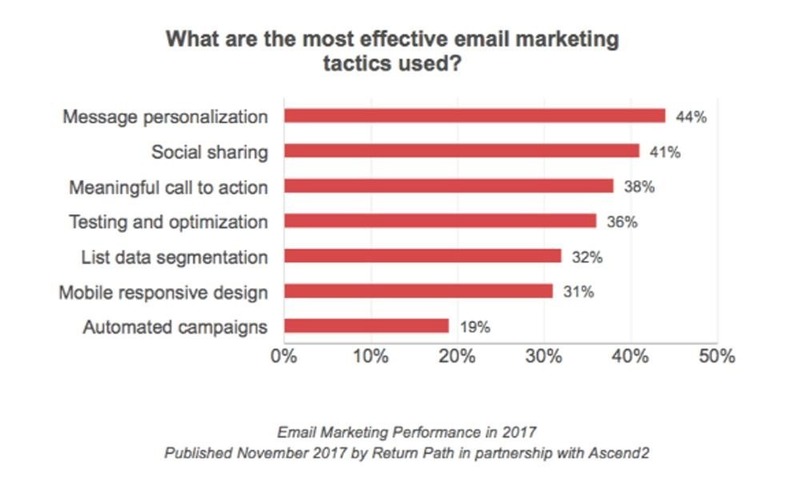 Email marketing strategies in 2019 are mainly focused on omni-channel experience, personalization, and conversions. The main thing is that your email marketing should be fully aligned with your funnel strategy. 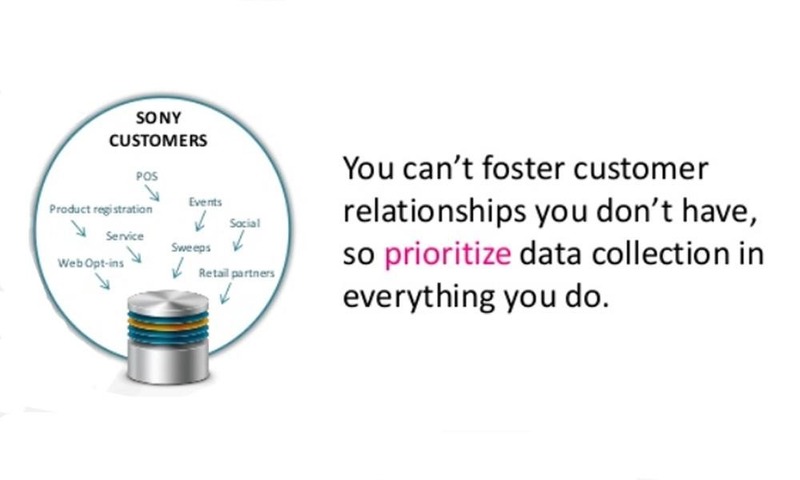 You need to create a meaningful customer experience across all the interactions with your tribe. That’s exactly what Bryan Harris from VideoFruit teaches you in his course and free webinars. Have a look at the subject lines of his emails. They are engaging and make you want to click through. Among the trending marketing tools, influencer marketing is enjoying incredibly high success rates and promises to become even more powerful in the near future. According to The State of Influencer Marketing 2017 stats, 94% of marketers recognized influencer marketing’s effectiveness, while 78% of marketers determined it to be the number one challenge. The power of influencer marketing lies in its impressive reach and engagement rates, which can hardly be matched by any other marketing strategies available. Such brands as Sprint, Gucci, GAP, Amazon, and PokerStars have given extensive attention to the benefits of influencer marketing. With the help of influencers of the relevant audience, these companies can raise brand awareness on a large scale. Sprint once made waves by getting Paul Marcarelli, Verizon’s “Can you hear me now?” hero, to switch to them and invite others to do the same. Looking for new ways to grab their audience’s attention, they have now gone much further. 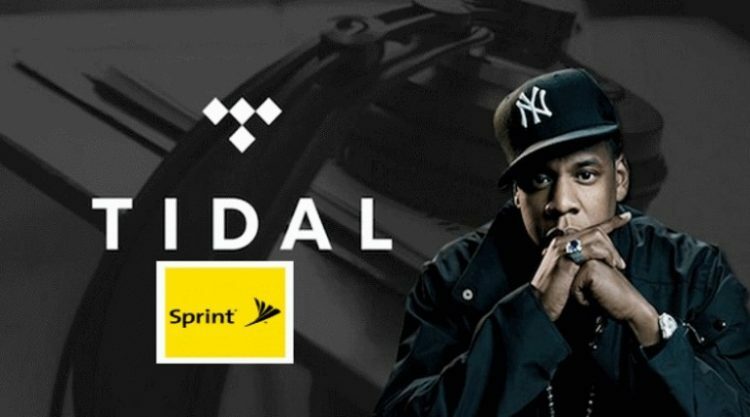 The Sprint and Jay-Z collaboration in the 4:44 album release allowed the brand to reach the the famous musician’s enormous audience, primarily consisting of the younger generation. And the recent #LiveUnlimited campaign has gathered a whole array of influencers in one gripping video. Gerard Adams, Lele Pons, Prince Royce, Bradley Martin, and Rachel Cook leave us astonished and laughing together with the next-door neighbor in the video. In an easy and effective manner, this commercial encompasses all those features that make a great influencer marketing campaign. The influencers chosen boast huge follower audiences that are relevant to Sprint. Their lifestyle genuinely resonates with the #LiveUnlimited messages. And finally, the light-hearted, entertaining spirit of content makes it feel authentic. Since the influencer marketing magic is largely about reach and engagement, this cocktail of influencer powers used by Sprint can be praised as a very effective example. Although influencer marketing campaigns are generally complex and difficult for marketers to accurately measure, their potential in communicating the brand identity to the largest relevant audiences is unquestionable. 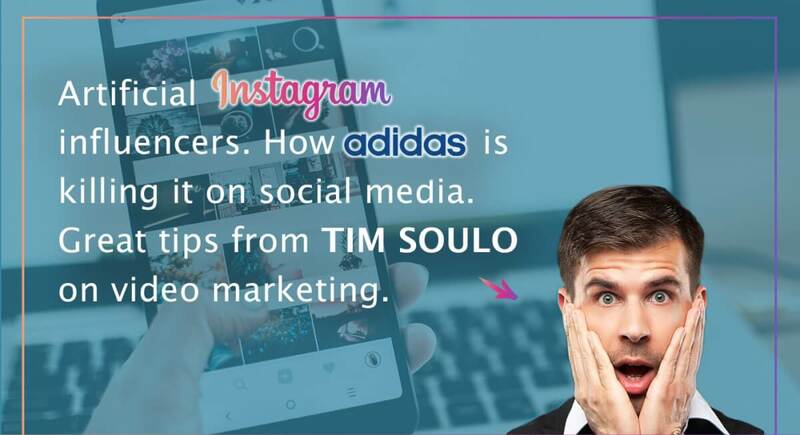 Want to learn how Adidas is killing it on social media, get great tips from Tim Soulo on video marketing, and get some insight into artificial Instagram influencers? Have you ever seen a company’s ads all over the web shortly after visiting their website? That’s retargeting. A visitor comes to your site. A cookie (a piece of code) is left in their browser. The visitor leaves the site. The visitor sees your ads on other websites or in their social feed. The main reason you should use retargeting is that it gives you a second chance (or third, fourth, fifth etc.) 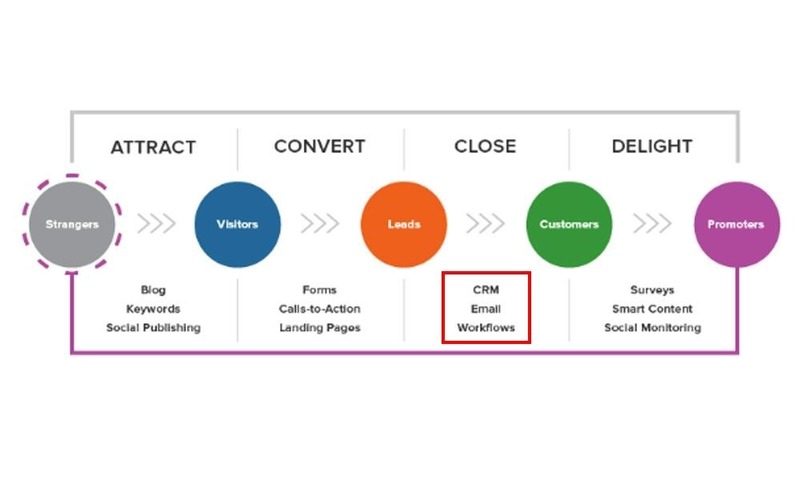 to convert your visitor, or at least to push them deeper into your funnel. The cool thing is that the price to show your ads to people who already visited your site is usually lower, because they are more likely to click on them. The advertising network wins because people are more likely to click on ads of companies they already know, and every click is money in the network’s pockets. Meanwhile, the publisher (you) wins because these people are much more likely to convert since they’ve already interacted with the brand, making this a high-ROI tactic. In fact, it’s considered the best in display advertising in terms of ROI. If you make retargeting an important part of your content marketing campaign, over time, you will build an audience that you can use like a complimentary mailing list. Not every visitor signs up for your newsletter and not every subscriber of your newsletter opens your content promotion emails or checks out your content. Using retargeting, you can show these users your content for a pretty reasonable price. Another reason to consider retargeting is that it creates a sort of illusion of grandeur. Unless you’re marketing to users who are extremely savvy about the digital world, most of your audience will perceive your company as bigger and more important than it is. Since they see your content all over the web, they think you’re running huge multi-million dollar campaigns even if that’s not the case. Finally, using retargeting increases your chances of cross-selling or up-selling to existing customers by showing them content that talks about other services and products they may like. Essentially, marketing automation tools are all about optimizing. Many people think they simply help you automate your team’s more repetitive tasks, but it goes far beyond that. One of the most important reasons to use automation tools is so-called “lead scoring”. Basically, it allows you to allocate points to all of your users based on their actions, such as clicking a link, visiting an important page on your site, or buying a specific product. You can also reduce a user’s score by assigning negative points for actions that demonstrate disinterest, or simply excluding users that don’t fit your specific target market. This way, you’ll be able to generate and show content specifically designed for the person or smaller audience that sees it. Another very useful automation function is segmentation. 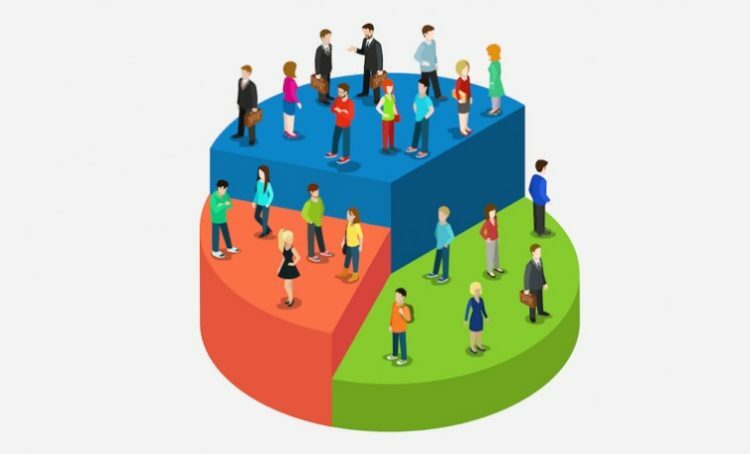 If lead scoring is used to filter the “cream of the crop” – the users that stand to generate you the most profits, segmentation is used to effectively categorize the different target audiences present in your user base. Let’s say you deal with both real estate developers and brokerage firms. Using segmentation, you can make sure that emails aimed at developers are sent only to them and don’t annoy the brokerage firms. In the olden days, you had to manually choose the specific leads from a spreadsheet, but now you can accomplish that with a simple click. So why not take advantage of it? Another essential element of automation is the ability to automatically send specific content to users that perform certain actions. When a user performs a specific action, it will activate a “trigger” that will set in motion a “workflow”. This mechanism is what allows companies to take full advantage of the elements listed above. You can run campaigns even while you sleep! To put it simply, a chatbot is a computer program that automates some tasks and interactions with your customers. 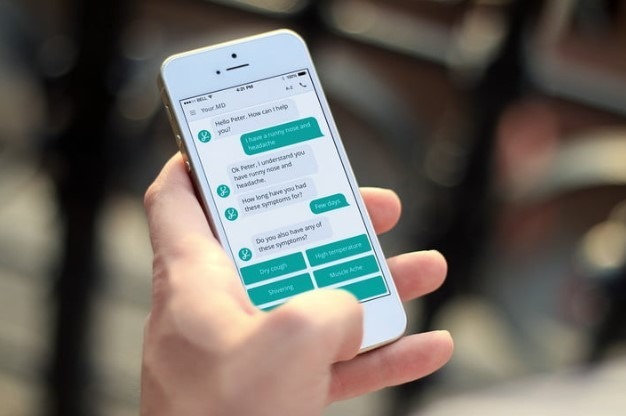 Usually, bots use a chat interface to give customers whatever information they need at the moment and help them purchase the product or service they are looking for. However, the most advanced bots are powered by artificial intelligence that helps them understand complex requests, give personalized replies, and use the data gathered to improve the quality of their interactions over time. The technology is still in its early days, but the results it can deliver even now are huge. If you’re serious about content marketing, your company site should already have a significant catalogue of content that answers all of the important questions your potential customers may have. Let’s say your customers want to get some clarity about a product or service of yours. Instead of spending loads of time scouring your site to find the information on their own, they could easily just ask your chatbot about it and instantly receive one or several answers with the information they wanted. The bot could also give your customers the different pricing options for your services and close the sale for you, without any assistance from a salesperson. And that is a truly valuable feature, not only because you save your staff’s time, but also because you can engage with those customers that don’t feel comfortable speaking with a real salesperson. Some users could be struggling to find the information needed, but hesitant to call sales, e.g., because they worry there will then be too much pressure. On the other hand, a simple chat-bot feels harmless (they are not taking up anyone’s time) but can give them all the necessary content to overcome their fears, anxieties, and objections. Good marketing requires good testing, period. How can you be so sure that the approach you’re using to engage with your audience is the best? How can you be certain that you’re writing quality content? And how can you be sure your content attracts exactly your ideal customers? The answer is incredibly simple: run A/B tests. If you test different variations of your content, your users will tell you with their actions what’s the best for them. Simply put, determining which variation of the content gets more shares, comments, and interaction from your audience will give you insight into what kinds of content to produce in the future. 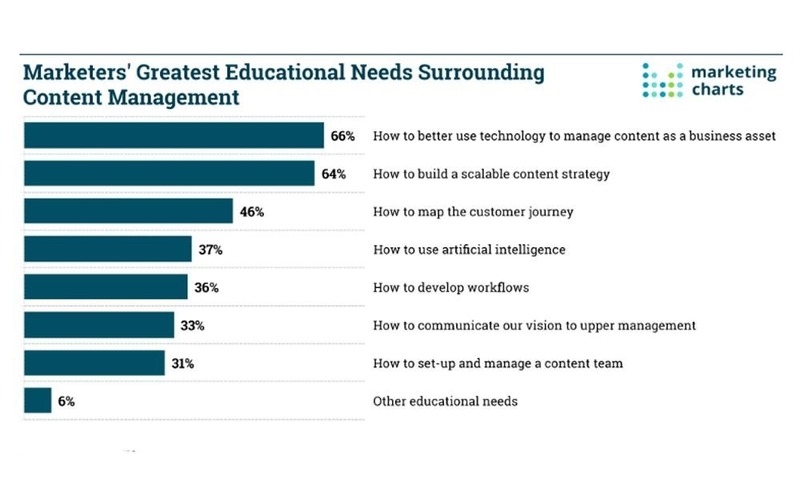 Of course, if you’re producing content, you should already know your audience, what they want, and what they need. So, yes, you have to be already prepared to run A/B tests. However, human nature can be very complex, and in marketing, there’s always room for improvement. Thus, A/B testing can help you gather the knowledge necessary to get to the next level of your content marketing. Headline: Internet users are not readers. They are scanners. A good headline will make them stay, while a bad one could make them close the tab of your site. Images: Some images perform better than others in communicating the meaning of your content or intriguing your readers. Opt-in form: Test different offers to see how your audience reacts. What drives them to sign up? And what seems to scare them off? Call to action: Ask people to perform different actions and ask them in different ways, experimenting until you find the optimal phrasing. These are key components of every piece of content you put on your blog; they have more weight on the user’s actions and decisions. IKEA is a great example of how marketers can leverage the latest technologies and creativity. The company uses a smart approach to educate shoppers about its products. Gone are the days when you have to argue with your partner in a furniture showroom. With the company’s newly deployed AR app, shoppers can visualize how IKEA furniture might look like in parts of their home before purchasing the items. You can move furniture virtually around your living room, office space, elevators, etc. With this new app, you no longer have to return furniture because it didn’t fit perfectly in the space you intended. Now, customers can contemplate and learn about the furniture on offer in a more experimental way. No app has ever been more fun to use. Its user-friendly interface makes it easy for shoppers to make their choice from the over 2,000 products available. You can find products by categories and types – sofas, armchairs, coffee tables, etc. Equally useful is the fact that you can tap on the name of your selected item and it will take you directly to the product listing on the company’s website. The newly deployed AR app is definitely revolutionizing the furniture and home improvement marketplace. #13 How Does Sony Use Big Data in B2B Marketing? With the great competition and the economic downturn in the PC industry, the business of selling laptops and smartphones is getting tougher nowadays. However, one big brand has managed to survive the crunch and is currently killing it in terms of sales. Perhaps you’re thinking of Apple. Well, nope! We’re talking about Sony. Sony has been able to enjoy 3x more sales by integrating modern big data with other marketing campaigns, including social media analytics and traditional promotional methods. Big data helps business create a thriving model with less financial risk. One of the reasons Sony implements big data is to not only enhance customer experience, but also to align their marketing campaigns with customers’ needs. One way in Sony applies big data analytics is finding brands and individuals with the capability of influencing others’ purchases. In a test campaign, Sony generated a lot of big data from existing clients through social networks and digital channels. This way, the company acquired useful information about their customers who drive additional purchases. Many people turn to influencers when it comes to making informed purchasing decisions. Through big data analytics, companies have a great opportunity to tailor their marketing plans and strategies to meet the specific needs of influencers and encourage them to buy more. This way, they can indirectly encourage their networks of friends and followers to buy along with them. When influencers purchase your products, others will do it too. Big data analytics can be an incredibly powerful tool for driving sales and increasing revenue. According to Hubspot, 52% of marketers list video as the content type with the best ROI. In addition, audiences who view video are nearly 2X more likely to take action and videos garner 20% more attention time. With stats like these, videos have become essential to every brand’s content mix. 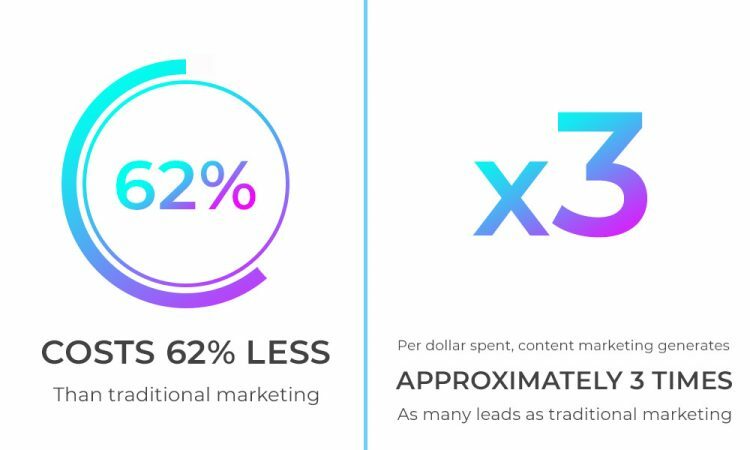 Moreover, according to Buffer, 43% of marketers would like to create more video content if they had no obstacles like budget, time, resources, etc. Van Damme did a great job demonstrating this outstanding stunt, and it is spiced up with a cool soundtrack by Enya. But Volvo has gone even further! They have created a well thought out video marketing funnel to convert prospects into actual buyers. This system has been working extraordinarily well for them. The brilliant “Share A Coke” campaign, initially launched by Coca-Cola in Australia in 2011, has taken the world by storm, now spanning more than 80 countries. The seemingly simple call to “Share A Coke” with a friend, whose first name has taken place of the iconic Coca-Cola logo, is, in fact, an example of an ingenious marketing strategy: they are turning each of their customers into a local brand ambassador. At its very beginning in 2011, the objectives of the “Share A Coke” campaign revolved around two main points. The first objective was to increase summer sales, and the second one was to inspire its customers to talk about Coca-Cola again. The campaign aimed to unite love for the brand with the actual consumption of its product. 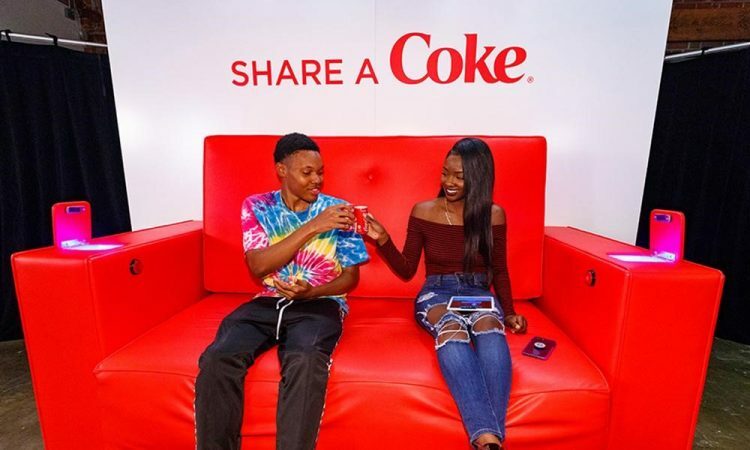 Coca-Cola’s marketing strategy for this campaign was to encourage its customers to connect with those dear to them, both online and offline. Those connections, conversations, and stories engaged mass audiences by focusing on the personal side of communication, not classical brand recognition. 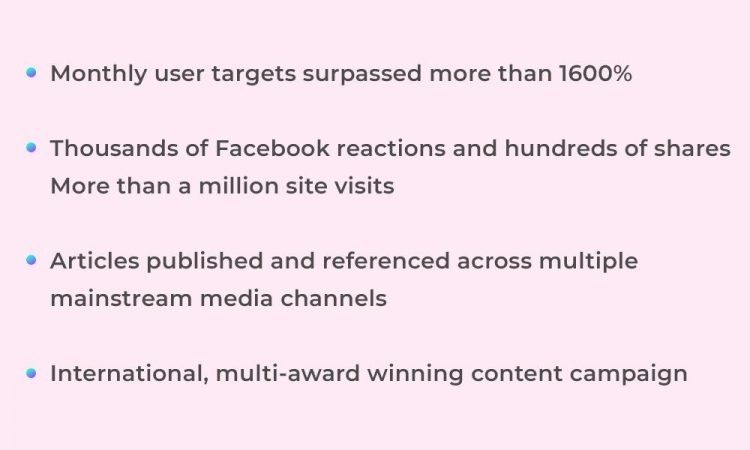 Multichannel rollout including TV, newspapers, billboards, mobile services, celebrity endorsement, and social media (with Facebook in the limelight) allowed then to engage a wide audience. Next, the campaign encouraged customers to create their own highly shareable content by offering both the personalized product, which triggers emotional responses, and a means of sharing it with others online as well as offline. The appeal to the self-expression and socialization needs of millennials created a strong emotional bond between the customers and the brand. Finally, this personal connection is reinforced by the “Share A Coke” call to action, which is all about sharing rather than mindless buying. The results of this innovative campaign speak for themselves. After its launch, the campaign increased Coca-Cola’s Facebook traffic by 870% and elevated the number of Coca-Cola Facebook page fans by 39%. The product consumption rate among young adults saw an increase of 7%. In the United States, the campaign brought Coca-Cola a 2% increase in sales. According to a Network Insights study, the campaign enjoyed a 45% positive sentiment, thus enhancing the brand image. The success of the “Share A Coke” campaign demonstrated the high engagement potential of personalization, which plays on the creative skills of customers and boosts their desire to speak about their love for others, including the Coca-Cola brand. From this case study, we can observe not only the positive effects of letting customers express their personalities in entertaining ways, but also the way interactive strategies give voice to customer stories and unfold the engaging power of social media. I’ll be happy to check out your ideas in the comment section below. In this article, I’ve highlighted some of the most powerful current trends in content marketing. Vladimir Mirnii, the CEO of ContentAdore, is a professional copywriter and digital marketer. He helps brands and B2B companies grow traffic, leads, and sales. Vladimir is fond of art and rhyming. From time to time he takes part in volunteering initiatives. Let's change the future of digital for better together! Agency vs. Freelancers vs. In-House: Which Is the Best Solution for Your Content Marketing? Pros and Cons of Blogging for Business: Why Is It So Important for Marketing? I consent to having ContentAdore.com add my email to their mailing list.